The Ithaca College men’s and women’s track and field teams competed at the NCAA Division III Indoor Championships March 8 and 9 in Boston. The Ithaca College track and field teams competed in the All-Atlantic Region Track and Field Conference Championships on March 2 and March 3. Both Ithaca College track and field teams clinched a first place finish at the Liberty League Conference Championships on Feb. 24. The track and field teams competed at the Towson Invitational while the pole vaulters traveled to Nevada to compete in the National Pole Vault Summit. The men’s and women’s track and field teams competed Dec. 2 at the Cornell University Greg Page Relays at Cornell University. 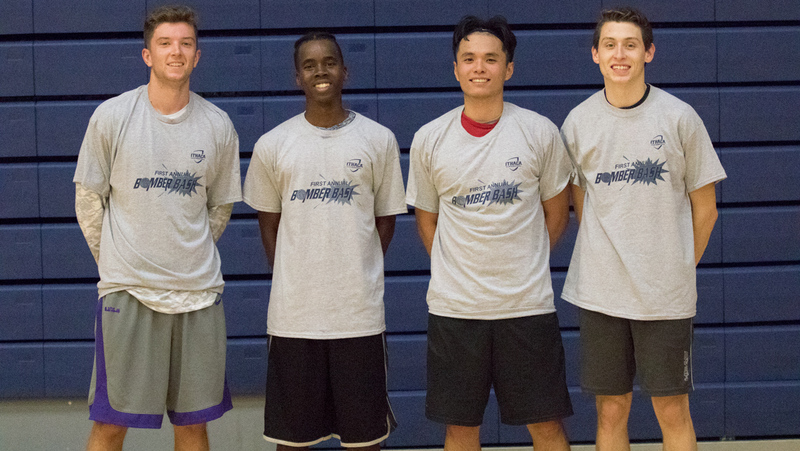 The men’s and women’s club basketball teams hosted the first “Bomber Bash” 3-on-3 basketball tournament to raise money for cancer research. The men’s and women’s track and field team competed April 13-15 throughout the state of Pennsylvania at various meets. The Ithaca College track and field teams competed in the annual Bomber Invitational where senior Katherine Pitman broke the DIII record.